When it depletes its energy reserves, the ship needs to drop anchor and rest, in order to replenish its energy in a renewable way. A thousand airbuses jumping back and forth over the ocean twenty-four-seven. Fly, land, replace crew and passengers and take off again. A thousand machines using up their fuel reserves in a mad, insomniac frenzy. One thousand hyperactive passenger jets, and one airship that needs to rest when its energy level is low. Just like everything else wandering around on this planet. 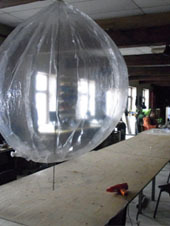 Lieven Standaert is the designer behind this project. He trained as an engineer in architecture at the University of Ghent, Belgium, and then went on to study industrial design at IPO in Antwerp. The project was born as a manifesto for a designer-driven innovation, as opposed to one driven by a marketing department. It evolved into a story of a hands-on, experimental and pragmatic approach to realize a radical, non-compromising concept. Today the most amazing CG renderings of the most fantastic, utopian or megalomaniac design concepts can be created. 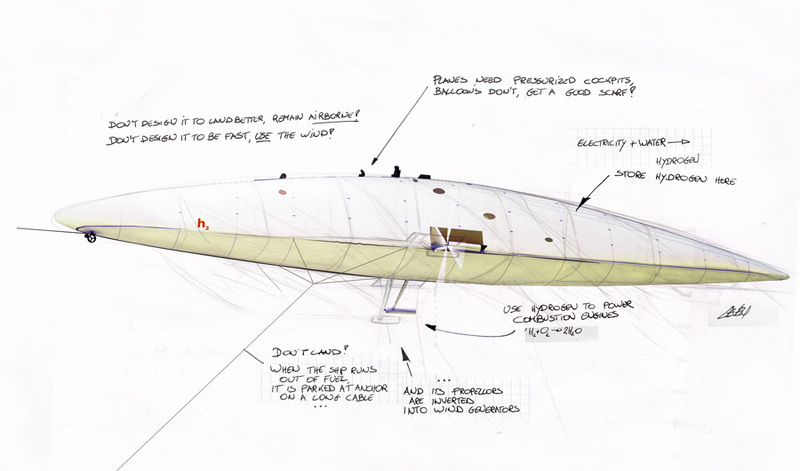 But how do you get a 90-meter , experimental, zero-emission, biomimicry airship actually built… if you’re only a single, young designer with a single, young-designer’s bank account? read more.. . . . If you wish to be informed on the progress into the project, upcoming exhibitions or events, you can subscribe to the newsletter here. The newsletter is sent 4 to 8 times a year. No newsletter will be sent without the option to unsubscribe. Over the next months we will be resuming the tests with the models I had built with Maximillian last year. It's been way too long since I have updated this site, mainly because of some interesting collaborations taking on a life of their own. 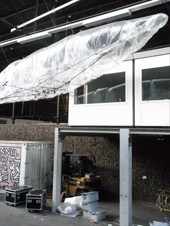 I'm currently installing a refilling system at the Verbeke Foundation, to be able to put the 9-meter-model on permanent display. It will be shown alongside a selection of smaller models. Added some pictures of early test flights with the 120-model to the image gallery. 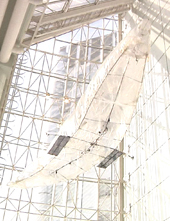 "Aeromodeller2, a work as poetical as it is ambitious and thought-provoking. " Newsletter 13 got sent out. 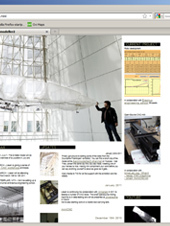 Additionally a short Q&A on the La Louvière exhibition was published here. This Thuesday, July 26th Lieven can be heard on the morning program on RTBF radio, in a short interview on the 'Machines Improbables' exhibition. 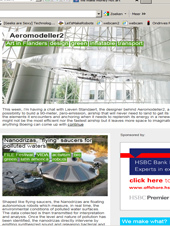 This summer the' Aeromodeller2' 9-meter-model is being exhibited at the 'Artour' biennale in La Louvière, Belgium. 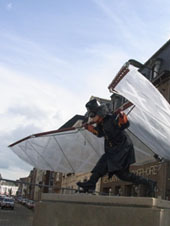 At Musée Ianchelevici, the 9-meter model is sharing an exhibition with Luc Schuiten, Panamarenko, Raphaël Opstaele, Frank Gryffroy en Didier Mahieu. The exhibition runs until the 28th of August. 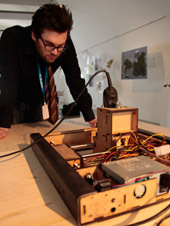 As part of the CNC-project at timelab, Lieven developed a small CNC-mill. with Kurt Van Houtte. 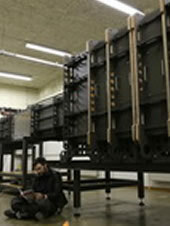 The machine is an open-source DIY kit, and will be presented on Friday April 15th at timelab, Ghent. 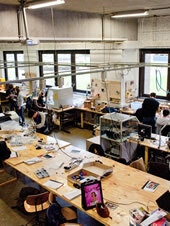 Entrance is free, we will demonstrate our new tool, and think it's a nice occasion to get a tour of the new lab. Hope to see you there. Many thanks to Tim for all the support with the exhibition and the videos. The dutch-language site is currently in the process of being replaced by the english one you're reading now. Everything should be up and running by tomorrow. Two pages still need proof-reading. If you should encounter errors on this site, a quick shout is much appreciated. 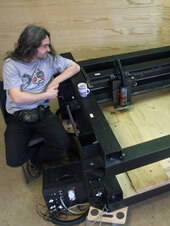 Lieven is continuing his collaboration with timelab in 2011 to develop a number of CNC-tools. 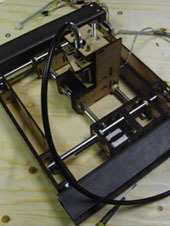 The small opensource milling machine is in bèta-testing and will be presented at pixelache in March. We're also starting work on a robotic tool-carrying tank. 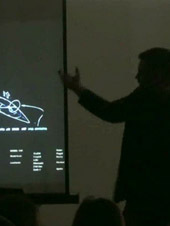 Lieven sat in in on the jury presentation at the Bartlett, London,upon invitation from Enric Ruiz Geli's Unit. 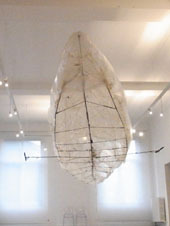 See Cloud9for Enric's fantastic and ambitious work.